Every once in a while on those rare occasions I am able to sit down and watch a movie with a couple of the kids (getting all 4 of them together to watch a movie we agree on is impossible) for the evening. This weekend was one of those rare times and you know what? I loved it… we watched an entire movie together! I know that my daughter loved it because it was a movie that she wanted to see. What movie was it that enthralled my 10 year old and my 2 year old? 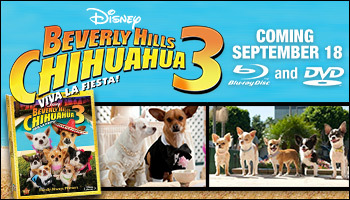 Beverly Hills Chihuahua 3! Of course Lauren was really concerned because she hadn’t seen the 2nd one yet and didn’t want to have miss anything. Of course, we did see the first one… multiple times… while we were in Florida a few years ago for our Disney trip. I think we watched it at least a dozen times in the car while we drove around Orlando! I don’t think that we missed anything, the movies seemed to stand well enough on their own. Beverly Hills Chihuahua is hilarious! I was surprised at how much I really enjoyed it! I won’t give away much of the movie but the part where they were auditioning bands for Rosa’s party…. awesome! And all the dogs that they had in the movie… wow! It always amazes me how well trained and behaved they are… I mean I could hardly manage to get one dog to sit down let alone multiple dogs. Are you looking for a fun movie to share with your family? This is perfect! Just take a look at the trailer! A little popcorn… a few cookies… and a fun movie is a great way to spend a fall evening at home with the family. Just head on over to Disney where you can get your very own special Blu-Ray combo pack copy today! You can also join in on the Twitter party that Social Mom’s is hosting on Tuesday, September 18th from 7 – 8pm EST for the big release of the movie. The best part… you can win a $20 Amazon.com gift card or a Beverly Hills Chihuahua 3 Blu-ray Combo Pack. All you have to do is RSVP and join in on the Twitter party fun! I know that we’ll be watching this one again… because my daughter let us know that she loved it and wanted to watch it at least 5 more times! 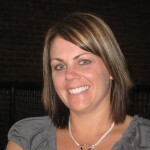 I was compensated for writing this blog post while participating in the SocialMoms and Disney blogging program. The opinions and ideas expressed here are my own. To read more posts on this topic, click here.